Today, cloud technology has become an essential part of the Internet. From storage to server allocation, everything is now based on cloud environments. As Cloud environment becomes a gateway for modern day businesses to virtualize their hardware resources, better and much faster ways have emerged presenting more diverse opportunities for individuals. It is a powerful and flexible cross-platform which includes a variety of software tools for building and managing cloud platforms, public and private alike. OpenStack is considered a gem among some of the most leading enterprises such as (eBay, PayPal, Yahoo, etc.). It is an incredible option for organizations seeking to create their own infrastructures in the cloud. DevOps is a software culture term which has lately emerged into the market. It is the combination of development and operational resources in order to avoid deficiencies while working on a software application. It provides the necessary tools to software teams so they can adopt agile methodologies and induce them within their respective work processes. 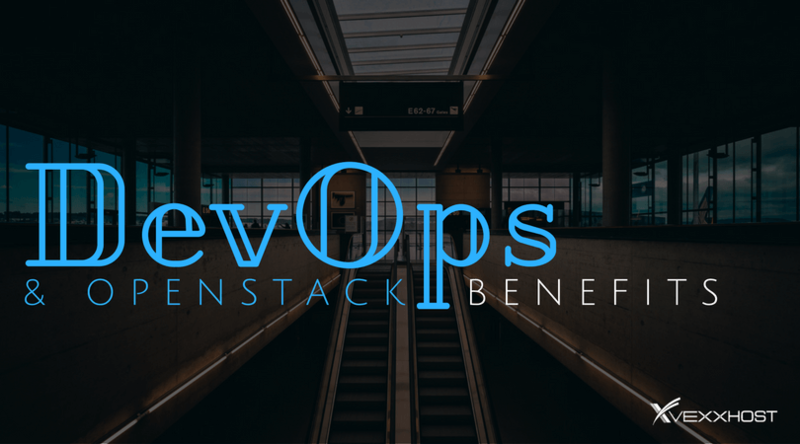 While developers require an open ground to create software applications, OpenStack provides the essential liberty to each individual on a DevOps team. Unlike other options which include vendor lock-ins and proprietary aspects, OpenStack is open-source which means you can access the source code for this cloud building platform. It is available on GitHub as OpenStack GitHub.While, it may not serve you everything on a single dish, being an open-source platform has its benefits. You can add as many features as you want which makes OpenStack a flexible Infrastructure-as-a-Software (IaaS) solution. The open source infrastructure creates an ideal option with no boundaries or restrictions. • Nova – This service allows users to compute data within OpenStack Cloud service. It is automated to combine a pool of computing resources. • Neutron – It is a core service that allows individuals to use OpenStack as a Network-as-a-Service in between configurable devices. • Swift – This service allows OpenStack to replicate data in different data centers throughout servers. • Cinder – This service is the block storage service for OpenStack which displays information to the end-users. • Heat – This service enables a user to collaborate with the machine in order to streamline lifecycle processes for the developed software platform. • Sahara – It integrates a layer of cluster application for big data such as Hadoop on top of OpenStack. • Glance – This service complements Nova by registering images processed by Nova. • Keystone – It is the identity function which is used by OpenStack in order to authorize users within the platform. • Horizon – This service provides a web-based dashboard interface for ease of access to multiple other services on OpenStack. As you can see, OpenStack has a large number of services which assists developers in performing different cloud computing services based on individualistic needs. These services are the most recognized; however, to get a detailed view of all the OpenStack services offered by VEXXHOST, click here. And for a full list of services offered by OpenStack, visit this link. Unlike other platforms, you are not biased when using OpenStack. It’s because OpenStack allows you to access and manage your platform through different pathways. You can access your platform using a GUI dashboard or use command line tools to make changes to your platform. And that’s not all; you can also make use of OpenStack through RESTful APIs. OpenStack offers multiple access routes to its users all in the good name of providing usage liberty. A single organization does not control OpenStack, and it certainly does not depend on the contribution of a specified team. It is an open-source IaaS platform which allows users to contribute to the platforms’ stratosphere openly. OpenStack is becoming the future of cloud technology as it has the potential to provide high-quality solutions for public, private and hybrid clouds alike. If you have more questions about how an OpenStack infrastructure can benefit you, feel free to request a free 30-minute consultation with one of VEXXHOST’s OpenStack experts below.